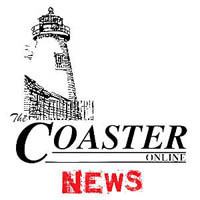 The Bradley Beach Borough Council tabled the discussion of the beach bench program until the first council meeting in September while the engineer develops a plan that will provide the number of appropriate benches for areas including Sylvan Lake, Fletcher Lake, Second Avenue, Third Avenue, Riley Park, and Main Street. The council also approved a request from a boardwalk vendor to bring back advertising “feathers” or signs from now through Labor Day weekend. The vendor is located at Cliff Avenue and Lareine Avenue. “I want to help our businesses,” said Mayor Gary Engelstad. During council reports the mayor reported that beach revenue hit $1.42 million last year. This year there was a goal of $900,000 for daily badge revenue and currently the borough has reached $147,000 over the year’s budget. Seasonal beach badge revenue is also up by $44,000. Councilman Harold Cotler suggested that because the borough is expected to have over $200,000 in extra beach revenue, to allocate $50,000 to the benches and $100,000 for appropriate beach mats. Engelstad and Councilman Tom Volante also said that the bathrooms and volleyball nets will remain open hopefully through October. Engelstad suggested that the Department of Public Works think about a more aesthetically pleasing way to lock the doors in the winter. Richard Bianchi, Operating Supervisor of DPW, voiced his concern about people breaking down doors and vandalizing the buildings. Engelstad also said that he had attended a meeting sponsored by Sen. Bob Singer in Spring Lake. The meeting, which was focused on encouraging tourism for Monmouth County, spoke about integrating the effort of beach tourism councils. Engelstad also said that he spoke to Singer about his frustrations with the Department of Transportation regarding the pedestrian crosswalks on Main Street. “Tourism isn’t just the beach, it’s Main Street,” Engelstad said.